← Turning sawdust into groceries, literally? A quick weekend project with the girls always needs to include a measure of safety. 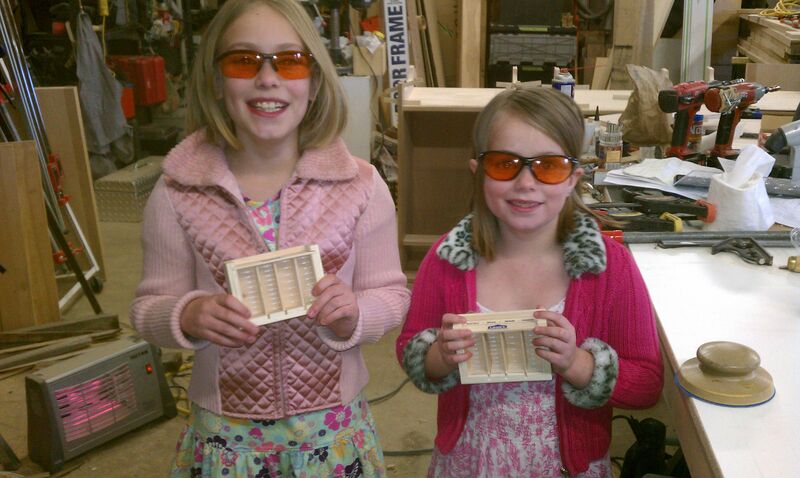 They learned about glue and sanding, and they pounded in their own nails. Thanks to Lowe’s for these great little starter projects!